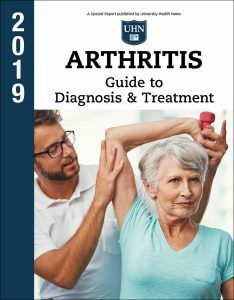 illions of Americans suffer on a daily basis from the pain, reduced mobility, and loss of function caused by arthritis. The condition can significantly affect work, leisure, and home life. Tags abdominal pain, acute pain, adalimumab, adalimumab atto, adipose tissue, alcohol, amjevita, anti inflammatory, anti inflammatory drugs, anti tnf, anxiety, anxiety depression, appetite, arthritic, arthritis, arthritis care, arthritis pain, arthritis treatment, asthma, atrial fibrillation, autoimmune arthritis, bacteria, blood pressure, blood sugar, bone, bone loss, bone marrow, bone pain, brain, breastfeeding, cancer, cancers, cardiovascular, cardiovascular risk, cartilage, cataracts, certolizumab, chronic arthritis, chronic pain, chronic pain conditions, cold and flu, constipation, corticosteroids, cox 2 inhibitors, depression, diabetes, diagnosing arthritis, diarrhea, diet, dizziness, dmards, dorsal horn, erelzi, etanercept szzs, exercise, flu, flu remedies, food, for pain relief, forms of arthritis, gastric acid, gastric symptoms, glaucoma, golimumab, headaches, health, health anxiety, healthy diet, heart attack, heart disease, heart failure, heartburn, heartburn pain, hepatitis, histamine, hives, hypertension, immune system, indigestion, infection, inflammation, inflammation of the stomach, inflammation of the stomach lining, inflammatory arthritis, inflectra, infliximab dyyb, interleukin 1, Jaundice, joint disease, joint pain, lack of sleep, liver disease, low blood pressure, low vitamin d, lymphoma, medical advice, mental health, mobility, mood, multiple sclerosis, muscle, muscle spasms, neuropathic pain, night sweats, nsaids, nutrition, omega 3, omeprazole, opioid drugs, osteoarthritis, otrexup, pain, pain in the back, pain management, pain reduction, pain relief, pain relievers, persistent headache, physical activity, pins and needles, ra, ra symptoms, ra treatment, reduce inflammation, relieve pain, report, respiratory disease, rheumatoid, rheumatoid arthritis, rheumatoid arthritis treatment, rheumatology, rheumatrex, risk of heart attack, runny nose, severe chronic pain, severe headache, severe pain, Shingles, shortness of breath, skin, skin cancer, sleep, sleep problems, smoking, sore throat, spinal stenosis, stomach lining, stomach pain, stomach problems, stomach ulcers, stroke, sugar, tiredness, tuberculosis, tumor, ulcers, vitamin, vitamin d, weight gain.